SUMMIT – The President of Romania, Klaus Iohannis, is currently attending The EU-The League of Arab States Summit, held in the Egyptian resort of Sharm el-Sheikh, which brings together for the first time heads of state or government from both sides. The major objective of the summit is to set up a cooperation platform between the European Union and the Arab world as an important strategic partner in the southern neighbourhood. The Sharm el-Sheikh Summit also offers an opportunity to both sides to boost their relations and join forces to cope with common challenges. In this context, the European and Arab states leaders will approach a series of regional and global issues, such as migration, fighting terrorism, the sustainable resolution of regional crises and climate change. On Saturday, President Klaus Iohannis held talks with his Egyptian counterpart, Abdel Fattah El-Sisi. The Romanian president underlined the very good and solid relationship between the two countries, saying Egypt is one of Romania’s traditional friends in the region and a key factor in ensuring regional stability and security. The two heads of state have expressed their determination and interest in boosting bilateral relations, particularly their economic dimension. PROTEST – Magistrates in Bucharest and several other cities across Romania have decided to suspend their activity, for a week, as from Monday, after on Friday they protested in front of courts against the new changes to the justice laws. Prosecutors and judges say the provisions of Ordinance 7, adopted by the government early this week, can lead to an institutional deadlock and impact the independence of the judiciary. Some of the changes to the justice laws which has stirred the magistrates’ discontent refers to the appointment of top level prosecutors, as these positions can also be occupied by judges who have earlier been prosecutors, the seniority condition being thus eliminated. The Ordinance has been criticised both in Brussels, by the European Commission, and in Romania, by the magistrates’ associations, the Superior Council of Magistracy, through its department for prosecutors and the right-of-centre opposition. REPUBLIC OF MOLDOVA – Some three million voters in the Republic of Moldova, a former Soviet state with a predominantly Romanian speaking population are called to the polls today to elect their new MPs. The Moldovan authorities have opened 2,141 polling stations. 123 stations have been opened abroad.  12 such polling stations have been opened in Romania, 2 of which in Bucharest. The ballot is monitored by some 4,200 national and international observers. Opinion polls indicate as favourite in the election the Socialists’ pro-Russian party, which prompt pundits to say Moldova will slow down on its European path after the elections. For the first time ever, the elections are held based on the mixed voting system, with 50 MPs being elected directly on party lists, whereas 51 others will by elected in uninominal electoral constituencies, in only one round. A referendum on downsizing the number of MPs from 101 to 61, in the future, and introducing the possibility of replacing them by the citizens is held concurrently with the elections. DIASPORA – Experts on Diaspora-related problems from 9 countries are attending a debate in Craiova, southern Romania, for the first time during a rotating presidency. The talks focus on issues related to the Diaspora in the EU, laying emphasis on socio-professional reintegration of people in their countries of origin, cracking down on human trafficking and eradicating the scourge of modern slavery. The participants are presenting examples of reinsertion and reintegration of citizens, after their return to their countries of origin, as well as awareness raising campaigns on human trafficking. On Saturday, the spokesperson for the Ministry for the Romanians Abroad, Adriana Dănilă, said these meetings are aimed at drafting measures and establishing practical instruments to support the Romanians living abroad. YELLOW VESTS – Yellow vests protests have been reported in France for the 15th Saturday in a row. Enjoying a much larger participation than last week, the rally ended in new violent actions. The French Interior Minister, Christophe Castaner, has condemned the damages produced in several towns across France and has hailed the intervention of the riot police. Some 30 people have been arrested in Paris and scores others have been taken into custody across France. FLU – The National Public Health Institute on Sunday announced a new death caused by the flu virus, thus taking to 149 the total number of people who succumbed to the flu in Romania since the start of the season. The last person to die of flu is a man, 39, without pre-existing conditions, who hasn’t gotten a flu shot. The latest data released by the National Public Health Institute show over 1.3 million people have been vaccinated against the flu so far.